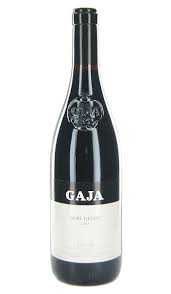 The Gaja Winery was founded by Giovanni Gaja in 1859 and has been owned and operated by four generations of the Gaja family. Giovanni Gaja was the great-grandfather of Angelo Gaja, the Winery's current owner. In 1994 Gaja acquired its first wine estate in Tuscany, Pieve Santa Restituta in Montalcino. The property's forty acres of vineyards produce two Brunello di Montalcino wines called Sugarille and Rennina.